Interviews can be stressful – but if you prepare well, they can be enjoyable. And when you prepare thoroughly for an interview, you’ll show the hiring manager that you’ll go the extra mile if you’re hired for the job. Research the employer – Learn why the company may be a good fit for you before the interview. Use the employer’s website and internet searches to learn about the company, its history, locations, products and services. Look for recent company press releases and news articles. 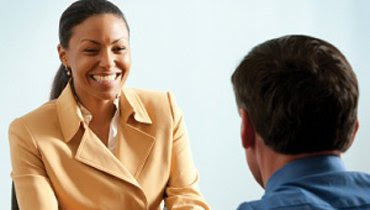 Research your interviewer – Interviewers are more likely to hire someone who has something in common with them. Learn everything you can about the interviewer including their background, interests and mutual connections you may have. Use the power of LinkedIn, Facebook, Twitter and other networks to ask people in your network if they have any connections to the interviewer. Practice your opening and close – People tend to remember the beginning and the end of a conversation. Practice what you’ll say at the start and end of your interview – in the mirror, with a friend or with a job coach – so those parts will go smoothly. Employers make half of their hires through their network. The top networking site is LinkedIn, with over 400 million users. It allows job seekers and employers to quickly research each other and find common network connections who can speak in depth about a job seeker’s character – something a resume can’t do. Fortunately, most of LinkedIn’s key features are free. Follow these important steps on LinkedIn to open the door to jobs already in your network. Optimize your profile – To get, on average, 21 times more profile views, detail your experience with keywords, skills and accomplishments that highlight your capabilities; write a sharp, short headline to reflect your brand and upload a professional-looking photo. Activate your current network– Upload your email or other contact list to quickly expand your network with friends who are already on LinkedIn. Find jobs and target employers– Search for openings in your area in the “Jobs” feature and find connections who can give you a warm introduction or go directly to the company LinkedIn profile and enter the target employer’s name in the search bar. Following up with hiring managers– Stay connected on LinkedIn once you have had an interview or contacted someone to network for a job. Consider inviting the hiring manager to connect and/or comment on one of their LinkedIn postings. It will show your interest and keep your name in front of them without being annoying. Are you using a Job Board Aggregator in your Job Search? Did you know you can search for job postings from popular sites like Monster and CareerBuilder and have them sent to your email box automatically through Indeed.com? Indeed is the largest job board in the world, and fortunately, it’s free to use. Search– Go to indeed.com and enter your desired job and location in the “What” and “Where” fields fields. Click “Find Jobs,” then narrow the list, if you like, using the filters on the results screen. Automate– Simply enter your email address in the “Get new jobs for this search by email” field to have new job postings sent to you for that search on a daily or weekly basis. Repeat – You can set up searches for as many jobs and locations as you like and cancel a search at anytime. You can also enter your resume into Indeed to let employers find you. Rather than spending all your time searching through job postings on various sites, use a job board aggregator and spend more time networking. Most job seekers aren’t sure how to follow up after an interview or submitting an application – not knowing when an employer will call or when to follow up if they don’t. Don’t miss this important step. Employers often watch how you work on your job search to assess how you’ll work in the job. Follow the “Rule of Three’s”– In the first 5 to 7 days after submitting your resume or application, follow up by phone or in person and express interest in the position. If you don’t receive a response within two weeks, try again by email or send a message through LinkedIn. If you still haven’t received a response after a month, consider sending a handwritten note. Continue following up every few weeks to touch base on the progress of the search until the position is filled. Make the extra effort– Always follow up with a thank you note within 24 hours of any interview. Send an email as well as a handwritten thank you card. The extra effort and the sincere appreciation for their time will speak volumes as to what kind of employee and coworker you will be. Be sure to also let them know you are interested in going to the next step! Be persistent– Don’t get discouraged. If you don’t receive a response, don’t stop making phone calls. Even if it’s uncomfortable, remember to be confident. If you’ve done your research, the employers you’ve picked will be lucky to have you. Even if they’ve chosen another applicant, you may get a job lead for another position with the company by demonstrating your interest and professionalism. Job seekers often slow down their job search during the holidays and assume employers are not hiring or interviewing. But, according to studies, over one-third of employers expect to add employees during the fourth quarter including over the holiday season. You’ll have less competition– While other job seekers are taking time off of their job hunt, you should increase your activity. It will demonstrate your commitment to your future employer, and make it easier on the hiring manager. Hiring managers are more available – Although holidays can be busy, hiring managers’ calendars are often unscheduled, allowing them time to attend holiday gatherings, clean out files and plan for the new year. Reach out by phone or preferably in person to follow up on your application or schedule an informational interview. You’ll gain momentum for the New Year – While other candidates will just be trying to rekindle their job search, yours will remain strong and your relationships with employers will be primed for start of the year hiring decisions. P.S. Consider seasonal work or volunteer opportunities during the holidays while you continue your job search. You’ll expand your network and gain new experience, knowledge and connections that may lead to a full-time opportunity. Helping you land your next great job…faster. Employers can subscribe to our Reemployment Industry Insights mailing list and job seekers can subscribe to our Job Search News & Tips mailing list. At NextJob we are so thankful for the privilege of working alongside our customers and their employees, helping them back to work. Customers of NextJob, have also helped us with our charitable Job for Job program: for every job search package our customers purchase, we donate a matching gift of our proprietary online job search skills system to someone in need. To reach those in need, we partner with organizations serving people who are homeless, in poverty, disadvantaged, disabled veterans, victims of domestic violence or chronically underemployed. Our mission is to help our partner organizations give a hand up into employment for our neighbors in need. This holiday season, we thought we’d share two stories from Emergency Care Help Organization, our NextJob partner in Central Florida. ECHO serves residents in crisis with food and clothing and offers access to life-stabilizing programs and resources including our Job for Job reemployment program. “I first came to ECHO for GED classes. Then I got more information on how to help my family by me attending Job for Job classes, where I was able to build my resume, practice for interviews and most important they gave me a confidence that wa s lost somewhere down the line of my life or maybe never really had. As we head into a season of giving, we’re thankful for the privilege of partnering with our customers to make a real difference in people’s lives and wish you all a very happy holiday season! P.S. As always, we welcome suggestions of nonprofits that could use our resources to make a difference in the lives of those they serve and we welcome support in spreading the word. Simply contact Dale at dalef@nextjob.com to share your suggestions. Despite over five million open jobs, the average job seeker remains unemployed over six months and over one third of unemployment insurance claimants are still exhausting all of their benefits, without landing a job. This is costly for employers and job seekers alike. The average claim against an employer’s unemployment account is over $5,000 and, for job seekers who are parents, a six-month or greater spell of unemployment nearly tripled the rate of poverty. Read this month’s Reemployment Insight, “The Six Month Question” to learn more about the 5 factors you should ensure are included in your reemployment support model. With 2.2 M people still stuck in long term unemployment and another 6 M hoping to get back into the labor force, we all tend to know someone who’s struggling to land a job. Many of us, especially those of us in jobs that touch workforce topics, such as HR or unemployment, are expected to know something about landing a job; and we often do. But it’s often difficult to know exactly what we can do to help. Fortunately, with the right approach, job seekers can improve their chances of landing a job by nearly 600%. Read this month’s Reemployment Insight, “Three Ways to Help a Friend Back to Work” to learn more about three of the most effective strategies used to help people land jobs. At 75 million workers, Millennials are now the largest generation in our workforce. According to studies, they are cause-oriented and more focused on who they work for and why. They’re also socially-driven and highly connected. For a growing generation of workers, how an employer treats employees at exit matters. In a workforce now dominated by Millennials that are empowered by social media, the implications are stronger than ever, both for the culture of those left behind in a layoff as well as those sizing up an employer’s brand when considering a new job opportunity. Click here to read this month’s Reemployment Insight, “Breaking Up is Hard” to learn how employers can take matters into their own hands and manage the brand fallout of unemployment over social media. Over half of college graduates are unemployed six months after graduation and 39% of Unemployment Insurance claimants are considered long-term unemployed having been out of work for more than six months. Research shows that job seekers receiving the right kind of help can increase their chances of landing a job by six times. What is the right kind of help? Broadly, the right help—according to the research—is teaching a variety of job search skills, providing motivation and encouraging proactivity. In the outplacement world, this can be provided using the right combination of the latest technology and a job coach. I use the word coach, because a good coach helps people strengthen and sharpen their skills, in this case, job search skills. They fill the job search tool box with important stuff: advice, instructions, motivation, inspiration and direction. A job coach can be many things to many people, but a good job coach will play the following key roles as part of the team that will help a job seeker land their next job. A good job coach won’t just tell a job seeker how to do something. Instead, they explain why certain processes and actions in their profession are necessary and beneficial to the job seeker’s success. The coach will help identify and provide advice and direction on how best to target professional opportunities. They will also help develop strategies for improving performance in particular areas. This approach helps the job seeker understand not just how to do something, but why they need to do it. For a job seeker to be successful in their job search they need to be motivated about their work history, career direction, skills and ability to move forward. A good job coach will help them identify what they are doing well and assist them in capitalizing on their strengths. At the same time, the coach will point out their weaknesses, or areas in which they need improvement, and help them develop an approach to bettering themselves. The coach needs to build an honest, trusting relationship with each and every job seeker they serve in order to help each job seeker achieve their goals. A good job coach helps chart the course of the job search through goal setting. They help set agendas, develop timetables, plan for the job search, and help the job seeker stay focused and on-track. In addition to meeting with the job seeker on a regular basis to assess progress, the coach will be available on an “as-needed” basis to help evaluate opportunities, plan for interviews and develop networking strategies. A good job coach will recognize and celebrate positive strides and remind the job seeker of the progress they’re making. They will help identify and highlight a job seeker’s strengths in a way that builds confidence. Everyone has had a great coach in their past. It may have been a parent at home, a sports coach in school, a manager at a summer job who pushed them a bit or a mentor who took them under their wing. These were all coaches in their lives. A good job coach can help each job seeker learn a critical life skill – job search. For a limited time, job seekers can visit us at https://www.nextjob.com/scholarships/recent-grads/ for free access to our jobseekers toolkit where they can create their own job search plan.